3670 Wilshire Boulevard was the location of a proposed 568 ft (173 m) tall skyscraper in Los Angeles, California. It was planned to be completed in 2009 and would have had 46 floors. 4 World Trade Center (also known by its street address, 150 Greenwich Street) is a skyscraper that is part of the new World Trade Center complex in New York City. It opened to tenants and the public on November 13, 2013. It is located on the southeast corner of the 16-acre (6.5 ha) World Trade Center site, where the original nine-story 4 World Trade Center stood. 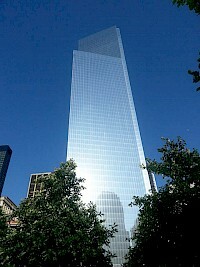 Pritzker Prize-winning architect Fumihiko Maki was awarded the contract to design the 978-foot-tall (298 m) building. 432 Park Avenue is a supertall residential skyscraper in Manhattan, New York City. Originally proposed to be 1,300 feet (396 meters) in 2011, the structure topped out at 1,396 ft (426 m). It was developed by CIM Group and features 104 condominium apartments. Construction began in 2012 and was completed on December 23, 2015. 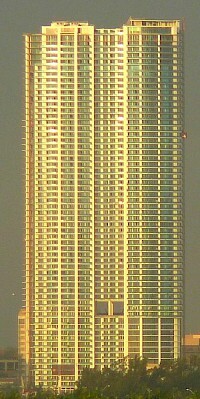 505 Madison is a 560ft (171m) tall approved skyscraper in Seattle, Washington. 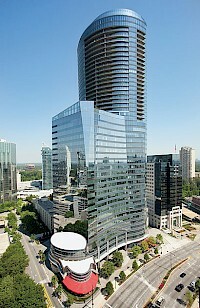 It is scheduled to be completed in 2010 and have 40 floors. 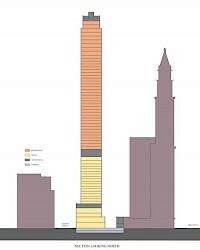 It will be the 10th tallest building in Seattle and was designed by NBBJ. 555 Mission Street is a 33 story, 458 ft (140 m) office tower in the South of Market area of San Francisco, California. 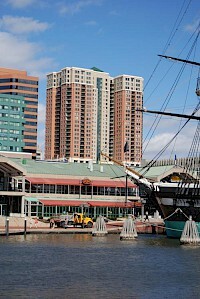 Construction of the tower began in 2007 and the tower was finished on September 18, 2008. The building is the first in a new generation of office towers in San Francisco's downtown. In addition, this is one out of several new highrise projects completed or under construction on Mission Street since 2000, like The Paramount, the St.
560 North Fairbanks is a proposed 787ft (240m) tall skyscraper in Chicago, Illinois. 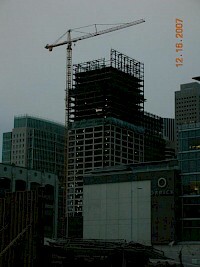 It is scheduled to be completed in 2010 and have 58 floors. The tower will have a 200 room hotel and 170 residential units. Solomon, Cordwell, Buenz and Associates designed the building and Draper and Kramer are developing it. 99 Church Street is a new building under construction in Lower Manhattan, New York City. It will be the tallest residential building in the city, at 912 feet. 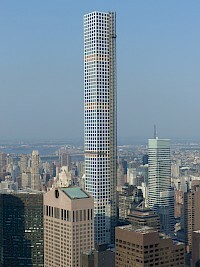 The building was designed by Robert A. M. Stern, and is being developed by Silverstein Properties. The facade of 99 Church Street will be clad in limestone. 99 Church Street will contain a Four Seasons Hotel and condominium apartments.